Breakfast in bed may not be the most original Mother’s Day surprise, but we don’t know many moms who complain when they’re served. Especially when the breakfast is extra special. 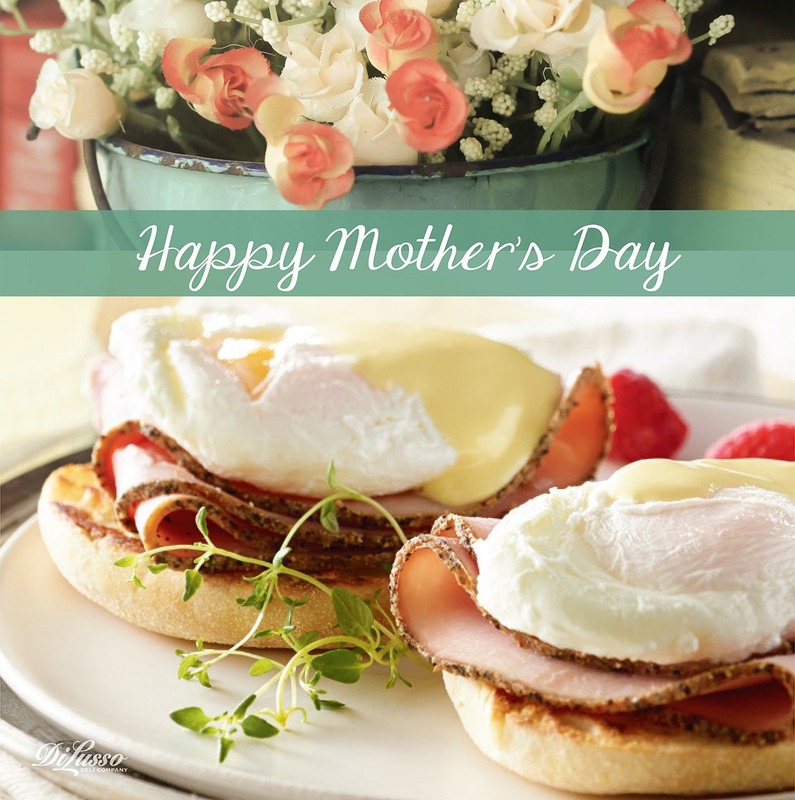 Why not impress her with classic Eggs Benedict? DI LUSSO® Cracked Pepper Ham gives it plenty of eye-opening flavor. 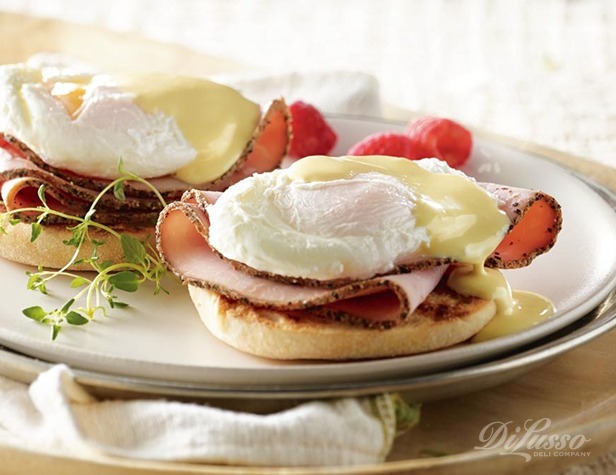 Eggs Benedict look so elegant on the plate, especially when you add a sprig of fresh thyme some chopped chives. 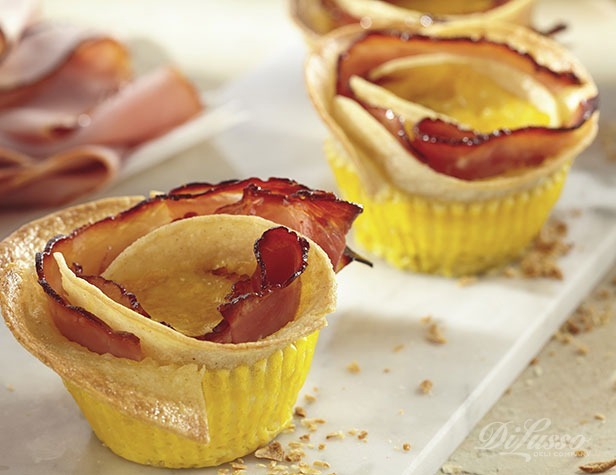 Another delicious option is Savory Breakfast Cups, cute little bundles made with DI LUSSO® Black Forest Ham, DI LUSSO® Smoked Gouda cheese, eggs and flour tortillas. Each individual “cup” can be garnished with something green like parsley or another fresh herb, or put an edible flower on the plate—pansies are perfect for this time of year. To the breakfast in bed tray, you might add a glass of orange juice, some fresh fruit, coffee or tea, and a vase of fresh flowers for an extra touch of love. Wait, you’re not done yet! Remember, this is Mom’s special day. That means a full kitchen cleanup is mandatory when breakfast is over. Giving mom some alone time for a quiet walk, yoga, or shopping would be a wonderful gift. Or maybe she just wants to be at home surrounded by the ones she loves most.